2014 has been a year of many changes for me personally. For the first time in my life I have been able to work in the profession I studied, I progressed in my side job, I found a phd project and I was happily able to move again and feel so much better in the new apartment now. It has also been the year of some disappointments, a great loss and much insecurity, so nothing to be called a good year after all. The HSF pushed my sewing output and made me try new techniques and work with antique patterns a lot, I learned very very much in the past 12 months. I am still not sure wether to participate next year again or not. Yes, I do produce more than without, but I am sure I would produce other things. I already see how the limitation of this blog to historical patterns and styles makes me hesitate to sew with modern patterns because I always fear I can’t show you enough of the things I’ve done. The challenges add their bit to this and often I don’t sew what I would like to, but what fits into the challenge and/or my blog. Of course that doesn’t mean I don’t like the stuff I make and show here, but some other projects that I am eager to try I have to put off to reach the goals I set myself. On the other hand I like a good challenge and matching a project I planned anyway with a challenge or a historical pattern has its advantages as well. Blogwise spoken this little website moved to its very own new webspace in early 2014, I learned how to create proper watermarks and wrote 42 posts in total. I made many new friends in the blogging world and discovered so many lovely blogs and people all around the world, XOXO to all of you! One thing that fell behind a little this year is cooking. I did occasionally try some antique recipes, but not on a large scale. This may have to do with the flat we used to live in until August. All this long ways to and from work cost me too much energy to cook in the evening, my consumption of Pizza and store-bought Pesto increased significantly. This changed when we moved, but as you can imagine we had to settle first. Additionally I had stored my cook books in a place hard to reach and completely out of sight. I re-organized them only days ago and hopefully this will get me back on track. The first HSF-Challenge. A re-modelled nightshirt that completely fell apart only weeks after I made it. The fabric really was too brittle. Another HSF-challenge and my first attempt to work with a Lutterloh-Pattern, black cotton slip dress from 1941. Still being worn, but not very often. I was very happy to finally finish this coat in march. Despite all the doubts I had I still wear it quite often. My contribution to the Fall for Cotton-Sew Along. One of my favourite summer dresses, I suppose. The last minute “Tops&Toes”-challenge-entry, cotton stockings, fake-embroidered with golden fabric paint. Unfortunately most of the paint didn’t survive the first wash, never worn again since then. Another Lutterloh-project, this time from 1955/6, a replacement for my much loved black-half-circle-skirt. Still one of my wardrobe staples. A kind of liberty bodice from 1905/6, made for the Black&White-HSF-challenge. Still worn occasionally as an undershirt. One of this year’s larger projects, my late 19th century ballerina dress, made for the HSF-Art-challenge after a painting by Pierre Carrier-Belleuse. Has been in the closet since I made the photos for this post in june. My Bette-Davis-dress after a Hollywood-Pattern from 1934. Because it is quite extravagant I don’t wear it really often, but I still like it very much. The Homage-to-Schiaparelli-Shirt. Didn’t like the result at all and the fit was far from being perfect, so this is long gone. Vintage-Vogue-Pattern 2859. The blouse had been on the UFO-pile all the year and I finally finished it in August. Sadly I didn’t like it at all so I didn’t keep it. My Jackie-O.-dress I sewed at a late-night-shopping-Event in Bern. I really like the subtleness of it and wore it this autumn until it got too cold. The Yellow-HSF-challenge-entry, a 1940-dress. Though I had to learn that the fabric is a little see-through, I still like it for being a quite simple dress that doesn’t need to be ironed. Another HSF-project, this time for the “Poetry in Motion”-challenge. I still like this black 1915-skirt, but it seems as if the fabric was of rather poor quality, after the first wash it had grey marks and looks like an old jeans now (hooray for quality fabrics at this point). But I will try to dye it so I can wear it again. A 1872-hairbow for challenge #19. Never worn, always feel like a gift wrapping when trying. Don’t know if I will keep it because I don’t plan to make a matching 1870ies dress in the near future (or ever. The problem not being the 1870ies, but the colours). Yeah, my I think favourite project of 2014, the 1945-Darth-Vader-Cape. Still in love with it, at the moment it is unfortunately too cold to wear it. The short trip into french silk-history and my first adventure in upholstery. Still love it, still in use. Not really a project, but at least I altered it and turned it into something wearable for me. Not counting this last dress and the quilt this makes 18 projects, 11 of them for the HSF. This means that I did not reach my goal of doing half of the 24 challenges but that I at least doubled the number of projects compared to last year. I broadened the time span of my projects, from the early 1900s to the 1960ies. Still I would like to dive a little deeper into history and finally start larger projects from the 18th or 19th century, not only accessories. At the moment I am very much in love with the early 20th century as well and you have seen quite a few projects from this period in the past year already. Well, as we are already talking about the first quarter of the past century and before someone asks: The Christmas dress is almost done. Unfortunately it is just another example of how completely unable I am to chose fabrics according to a pattern. You will see the result of this in a couple of days. What else are my plans for 2015? I have a couple of projects that should get finished, others still wait to get started. I have no idea what the new year will bring me and how much time I will have to sew or to blog, so I shouldn’t make too many plans for this. After the holiday-season is over I would hope to get back to my twice-a-week-blogging-schedule, though I already see how time-consuming this is after having done so only a few weeks. I wish you all the best for 2015, thank you all for your time, your words, your support, for being in my life, see you next year! Next Thursday, September 11th, Bern City is hosting a Ladies night. Many shops in Berne will be open until 11pm and most of them do offer special discounts, events and similar things. And I will participate! I will be sewing with my little Singer Featherweight in the Thalia-Bookshop inside the Loeb department store. If you happen to be in Berne, I would love to meet you!I keep it a secret what I will sew and I can’t predict if I will be able to finish it, but be sure, it’s a classic, a pattern from the book Famous Frocks (well, the german edition). I would love to see some of you! I wish you all very happy Easter Holidays! I hope weather at your place is as nice and sunny as it is here (though it could be a little warmer) and you can spend some time in the sun with your dear ones. Some of you reported me, that my posts aren’t shown in their Bloglovin-Feeds. After my own attemps to solve this lead to a catastrophe (blog gone, only a 404-error left, wasn’t able to log-in anymore etc.) I called the technical support and he really solved all the problems I had (well, concerning this blog 😉 ). First, you don’t have to type in the www. anymore, my blog will be found as well when typing only parvasedapta.ch. 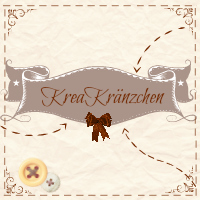 Second, my Blogposts are shown in your feeds again, BUT: the adress changed! Bloglovin saved my blog with a /wordpress-adress. Now, this adress was deleted, because it was part of the problem. Unfortunately, Bloglovin doesn’t understand, that the adress without the wordpress-ending is the same blog, I can’t delete this old adress and I can’t write to the followers of this adress (because it doesn’t exist anymore). To be informed about new posts on this blog, please un-follow the /wordpress-adress and instead follow www.parvasedapta.ch. You can find it in my bloglovin-profile or you can simply click on the button at the bottom of this page. Can anybody remember what I wrote in my first post in 2013? I said that I wanted to sharpen my blog’s profile, concentrating on historic, historical or historically-inspired fashion, crafting, textiles. I occupied myself a lot with Vintage-fashion this year, discovering a whole new world and learned an awful lot. As a side-effect, this made my blog appear like a Vintage-blog, concentrating on mid-20th-century fashion. I have nothing against neither Vintage in general nor mid-century-fashion, not at all. But it is hard to claim that this blog is about historical textiles of all epoches, when this year’s oldest project dates from 1942. And do you know why this happened? Not only because it interested me this year above all, but because I can wear it. As I already said in my last post, 9 projects in a year really isn’t much and the time I have had to sew I used to make garments that I can wear at least more or less every day. Though it was always a dream of mine, doing this with 18th-century-patterns isn’t that easy. But this year I didn’t only learn a lot about 20th-century-fashion, but also about myself. I learned, that I lose very much time in the internet, in front of the TV, in doing a little bit here and another little bit there, but nothing planned, throughoutly structured, organised. I know that I will be able to sew more, create more, learn more, eliminating this patchwork-planning from my daily schedule. – no TV alone. When I am with my boyfriend, it’s ok, but as soon as he leaves to do something different, I will switch it of and do something productive or read. – switch the computer off. I usually have my computer running all day. This leads to constant “oh, maybe there is a new blogpost/email/answer/webpage somewhere”-moments, making me sit in front of the screen much too long. In the future I want to start the computer, do what I want to do and switch it off afterwards. If there really is something I forgot, I will have to switch it on later again, but it prevents me from checking my mails ten times a day. – use the free time I have: In 2014 I will be working 60% of my week. This is time I will be away from home, different to university work at home that could be stopped and done later in the evening. This leaves me with three to four days a week off work (I sometimes work half shifts), in these the household has to be done, my boyfriend might have his day off, too and we’ll be doing something together. But there will be plenty of time to sew, to craft, to do what I like. Challenge will be, to use this time and to not let it passed unplanned. Amidst 2013, being struck in my MA-thesis, I discovered a large and very ambitious project, the Historical Sew Fortnightly, hosted by the Dreamstress. The outlines are very shortly described: A challenge to be executed every two weeks. The challenges are announced some time ahead, so it is possible to work longer, e.g. on a larger project or to prepare something to be posted later. The challenge isn’t called historical for nothing, timeline reaches back as far as you wish to, but ends 1945. How to interpret the challenges, how historically accurate the result is, even how many challenges are executed, is left to the participants. And yes, it will run in 2014, again. And I will participate. Because every two week really is a tough goal, I decided to only run the “half-marathon” meaning to participate in every other challenge. So this is my goal, to do at least half of them. But, because beginning is always easier than carrying on and because the first challenge ends on 31. January, I will see how many projects I am able to prepare until daily job routine will stab me in the back. Now, anybody who likes to join, too?